Well we’re gearing up for Summer and our move half way across the Country! But I’ve taken some time out of packing up to tell you about $2 Tuesday this week!! Here’s what I have in the bin this week! This entry was posted in Uncategorized on May 27, 2013 by christiedawn. Woo! 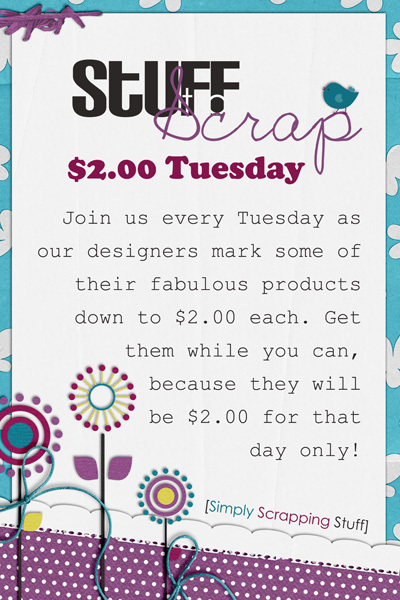 It’s $2 Tuesday Time at Stuff to Scrap!! And I have some new stuff in the bin for You!!! This entry was posted in Uncategorized on May 20, 2013 by christiedawn. 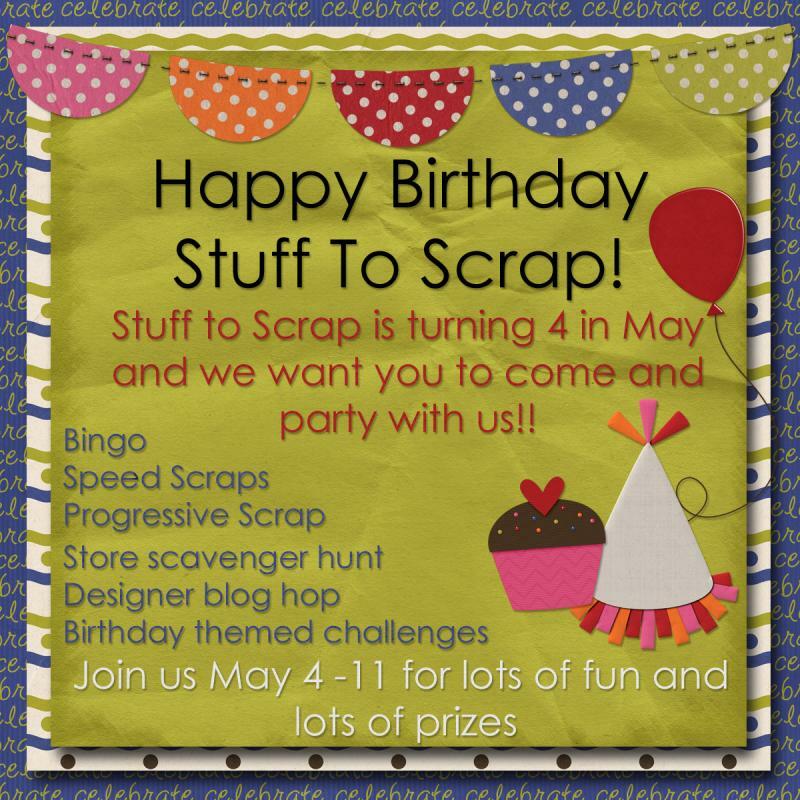 So..did you know that this weekend is Stuff to Scraps 4th Birthday? Yeah, you probably already knew that, I’m a little behind on the blogging front!! So…come celebrate with us this weekend!!! There’s a sale all weekend long! 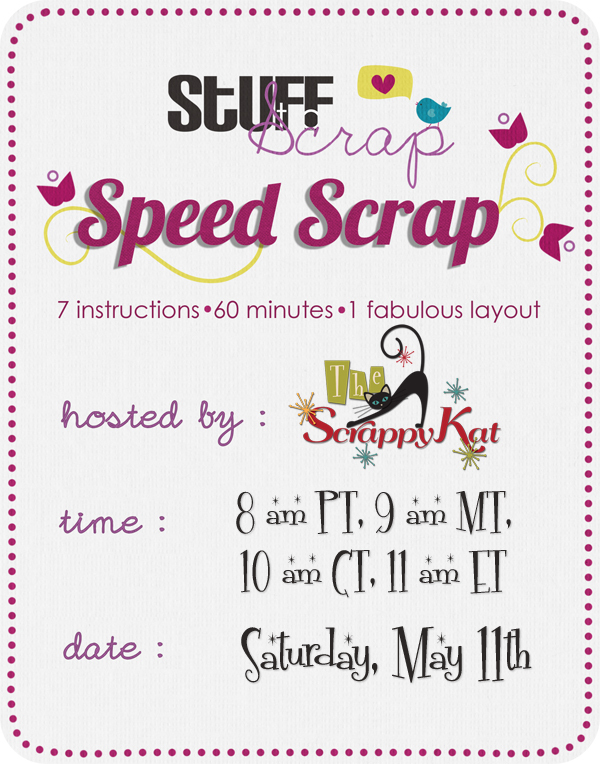 And I’m actually hosting a Scrap N Chat in about an hour in the chat room!! This entry was posted in Uncategorized on May 10, 2013 by christiedawn. Mother May I & $2 Tuesday! 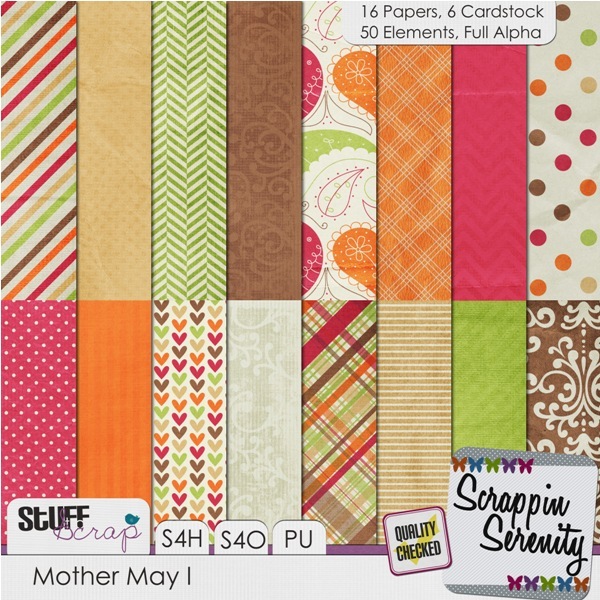 Are you looking for a kit to scrap one of the most important women in your lives? 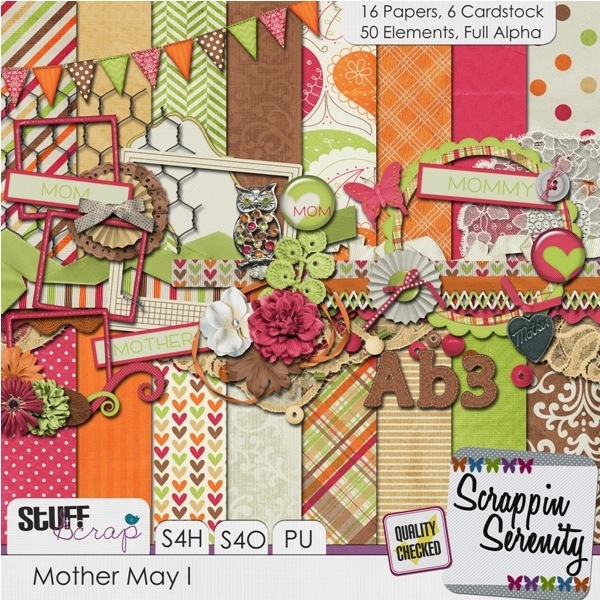 Mother May I is the perfect kit to scrap those treasured moments with the woman who gave you life! It’s also good for scrapping those special mommy moments you have with your own kiddos! And you can find the kit and all the addons in the $2 Bin Today!! Or…you can get all of it in a bundle!! This entry was posted in Uncategorized on May 6, 2013 by christiedawn. 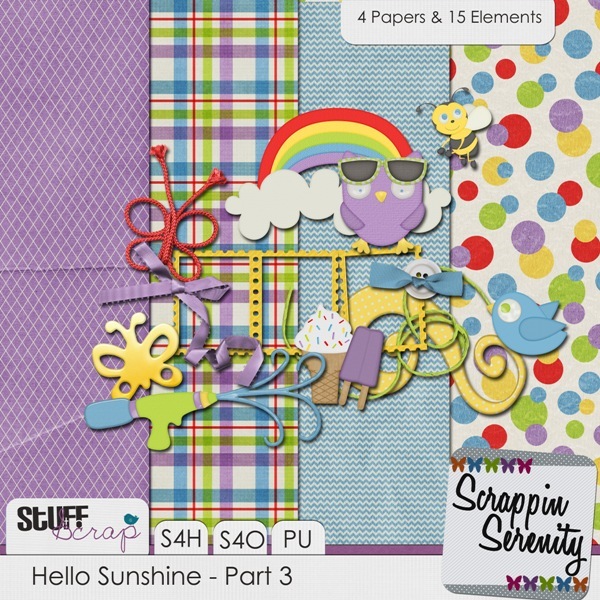 iNSD – Last Freebie Part of Hello Sunshine! I hope you’ve had a great iNSD weekend! I hope that you’ve gotten tons of goodies this weekend! If not there’s still time! My store will be on sale through Sunday! And here’s the last part of Hello Sunshine! Remember these links are only going to be active until Monday evening! Sorry! Freebie is no longer available! Check my store for it soon! This entry was posted in Uncategorized on May 4, 2013 by christiedawn. 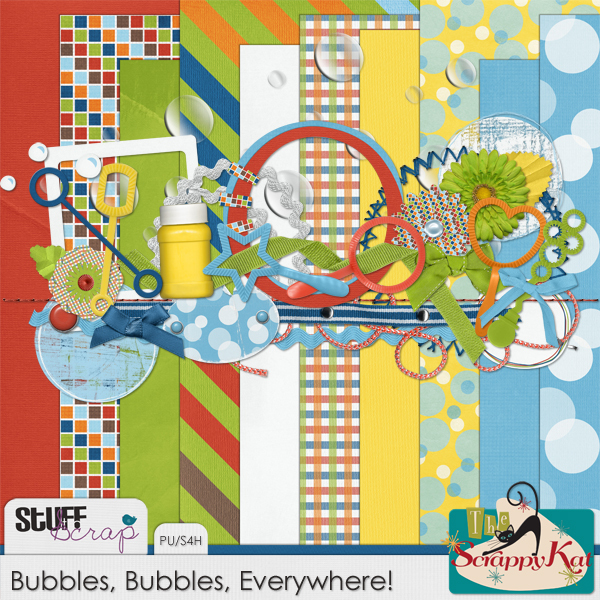 The Stuff To Scrap designers have made another huge, fabulous birthday kit! This one to celebrate STS’s 4th birthday! It has great colors for both boys and girls and plenty of embellishments to complete any layout! This kit contains 112 elements, 52 Papers, 4 templates, a set of glitter sheets and styles and 2 full alphas! 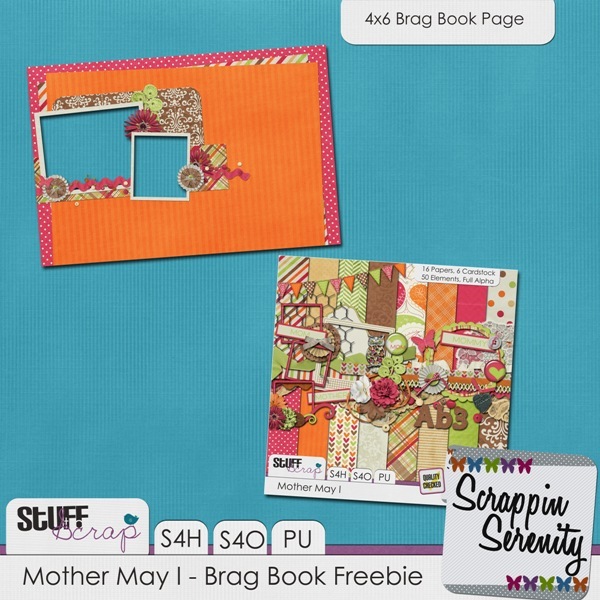 *If you are registered at the Stuff To Scrap forum you will receive this kit for FREE on your birthday as a gift from us! 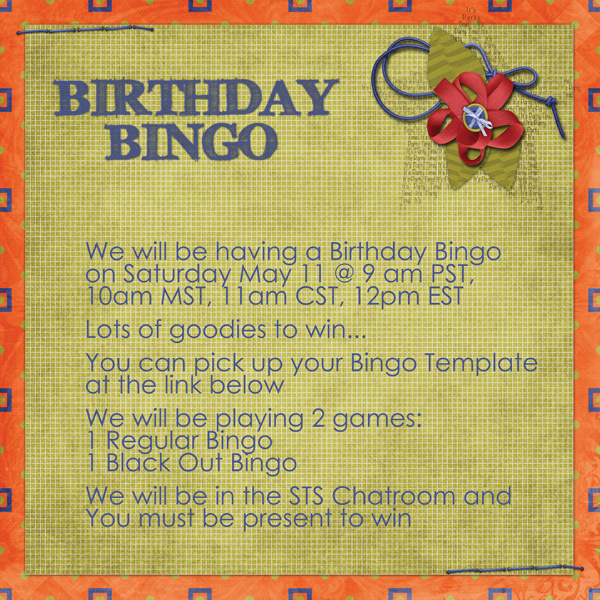 The Designer Darlings at STS have put together some goodies for you, using Today Is Your Day and created a blog hop. I’m so excited about iNSD (my paypal account however, is not! hehe)! It’s one of my favorite Holidays!! 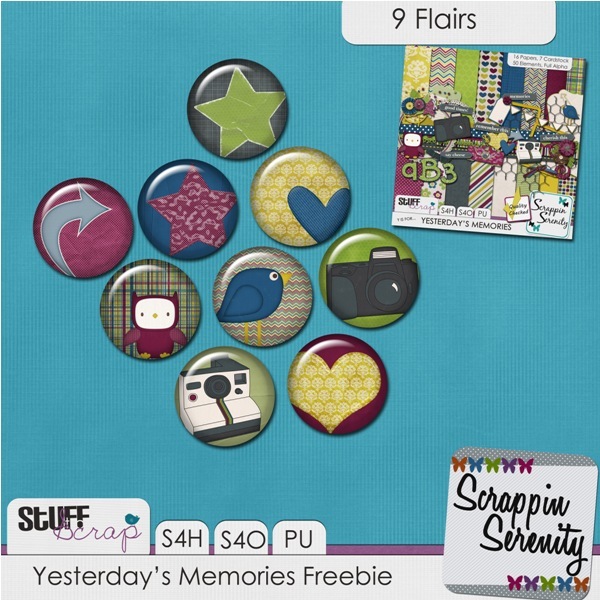 And this time I decided to jump on the DigiScrap Addicts iNSD Blog Train! Don’t forget that my store is on sale!! You should be coming here from The Urban Fairy! Your next stop on the DSA iNSD train is MScraps! Remember all the designers are in different time zones, so if someone doesn’t have their part up just keep checking! This entry was posted in Uncategorized on May 3, 2013 by christiedawn. 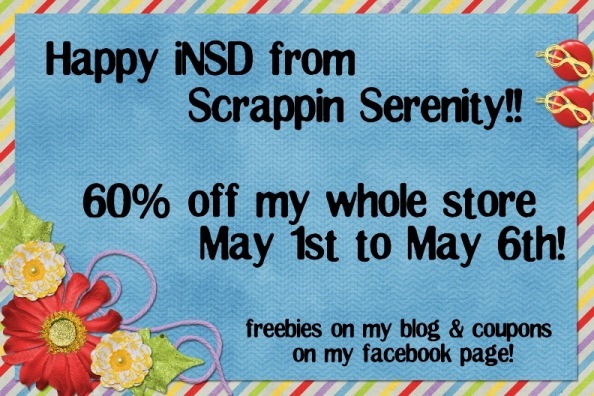 Has your iNSD frenzy started yet? Is anyone actually holding on until Saturday to do your shopping?! 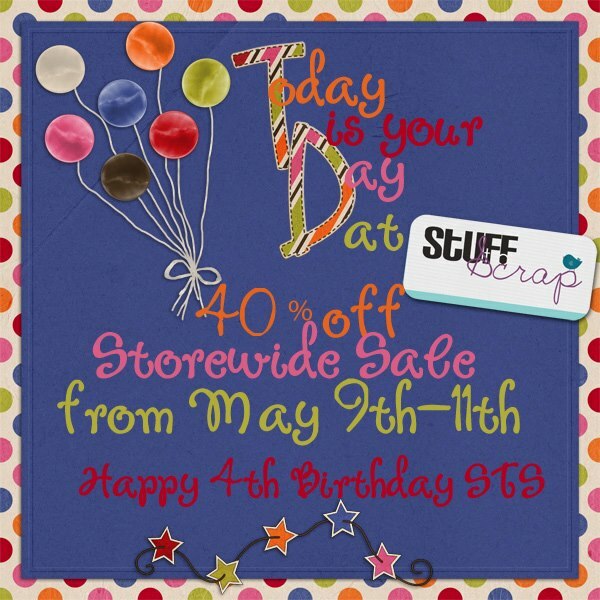 Most of the sales are already going, so, Shop now and Scrap on Saturday!! My store is 60% off! 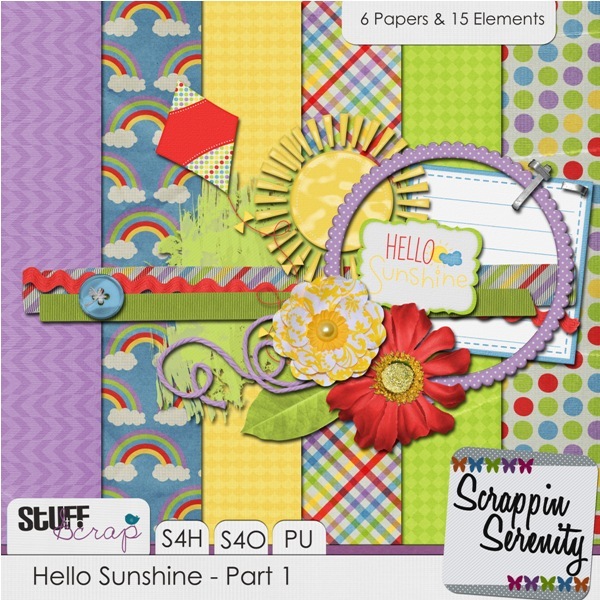 And here’s your next part of the Hello Sunshine kit! Sorry! Freebie is no longer available! Check my store for it soon! This entry was posted in Uncategorized on May 2, 2013 by christiedawn. Let the iNSD Madness Begin!! 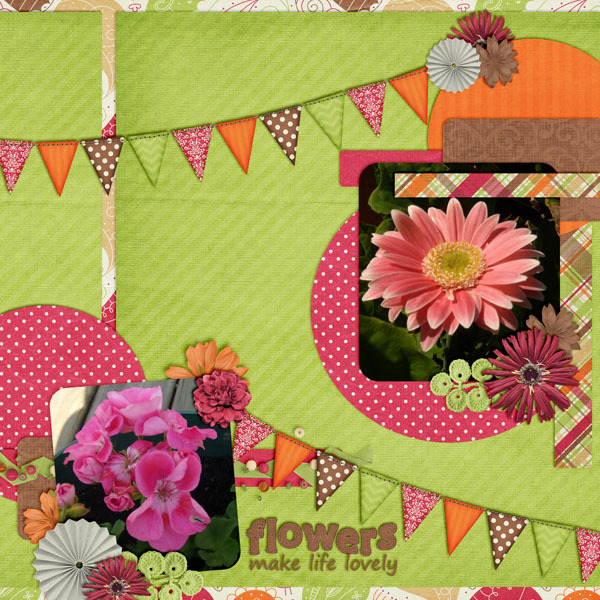 Happy beginning of interNational Scrapbooking Day (Weekend)!! So, I’m still trying to get organized! It’s kind of a hard thing to do when you’re volunteering part time at your kids school and getting ready to move at the end of the month! But I’ll be having a sale…and giving out a freebie every day from today until Sunday! And I’ll be giving out random coupons on my facebook page on Friday, Saturday, and Sunday! My freebies this weekend are going to add up to a full size kit! And the freebie links will only be working thru Monday evening, so download it while you can! Sorry Freebie is no longer available! Check my store for it soon! This entry was posted in Uncategorized on May 1, 2013 by christiedawn.